Vespucius was an Italian explorer. He sailed thousands of miles along the Atlantic shore of the New World. It was a map maker in Germany who gave the New World its name, America, naming it after Amerigo Vespucius. The name quickly caught on and spread through Europe. Most historians today agree that Vespucci had nothing to do with the New World being named America in the 1500s. Still, for many years, some people accused Vespucius of trying to steal this discovery from Columbus. When the topic came up in his hearing, Columbus took every opportunity to point out that he did not find a New World; he found a back door to China. (So stubborn!) 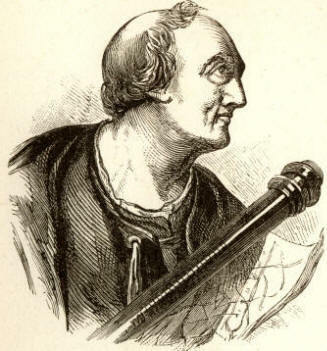 Columbus did not mind at all that the New World was named after his good friend, and fellow explorer, Amerigo Vespucius.